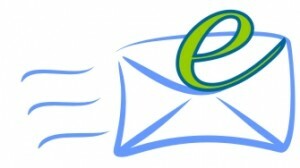 iPresort / Total Fulfillment offers e-mail marketing services in addition to traditional direct mail. As a tool for reaching your customers, e-mail marketing is hard to beat thanks to a combination of low cost, quick delivery and greater freedom in designing the piece. Costs are reduced relative to traditional mail in several ways. As there is no physical mail piece, there is no need to pay for paper stock, printing, transportation, storage, or perhaps best of all, postage (which often adds up to more than the cost of mailing services). Traditional mail has to conform to numerous specifications set forth by the USPS in order to qualify for bulk mail, restricting creativity in the design of the piece. E-mail, on the other hand, has no such restrictions, and designers are better able to set their message apart through unique presentation. E-mail is delived to the addressees in a matter of seconds, as opposed to traditional mail, which can take more than a week. This gives you more breathing room when sending time-sensitive information. In addition, feedback regarding the effectiveness of the piece can be assessed almost as quickly, and reports containing data on unique open rates are available by the week or month, according to your preference. iPresort / Total Fulfillment is CAN-SPAM compliant, offering only opt-in/out e-mail marketing. Opt-in e-mail marketing is one of the most effective forms of online advertising, because it is information requested by the recipient. It is an excellent low cost way to keep in touch with existing customers. While e-mail marketing is a useful tool by itself, it’s even better when integrated with other advertising tactics as part of a campaign. For example, a traditional presorted mail piece can be sent out to a broad list of addresses directing people to your company's website, which then contains a link for potential customers to opt in for regular updates via e-mail. Such an approach combines the strenghts of all three media, with the large audiences available to direct mailers, the depth of information of a web site, and the low cost of regular e-mail messages. You can supply iPresort / Total Fulfillment with finished e-mail piece designs and we will send them using our exclusive server, or you can send us the text and have us design the piece for you.